Wireless connectivity achieved through cellular and Wi-Fi networks has become an indispensable requirement for today’s IT environments. This increased network connectivity, when combined with widespread sensor placement, and various data analysis techniques, can allow applications to communicate and act on copious amounts of data generated by IoT devices across all lighting ecosystems. In order to drive the market with such advancements, there has been an escalation in the implementation of PoE (Power over Ethernet) technology to supply electricity to powered devices. The world is witnessing an incremental demand in PoE solutions as it offers a plethora of advantages such as low cost of installation, reliability and high convenience. According to a Navigant Research report, the global revenue for PoE lighting is expected to grow from an estimated $35.8 million in 2016 to $419.9 million in 2025. This projected growth can be attributed to the rise in demand for PoE power sourcing equipment and PoE compatible powered devices. With the evolution of smart lighting, the Workplace Design, outdoor and indoor spaces are undergoing a complete makeover with more focus towards the challenging parameters for creating spaces which enhance employee well-being, public comfort, safety and user experience with the help of technology usage for Space Management and Energy Optimization. 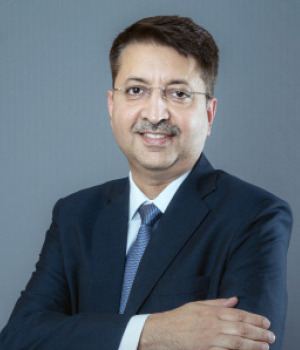 “With the emergence of IoT, artificial intelligence and Big Data, Smart and Connected digital lighting based solutions like Power over Ethernet (PoE) are the way forward as they will bring in intelligence and functionality into lighting systems, enhance user experience and deliver desired outcomes to the customers,” expresses PAS Ramakrishna, Sr. General Manager - Smart & Connected Lighting, Wipro Lighting. Stitching technology into the very fabric of innovation and converting these challenges into opportunities is Pune headquartered, Wipro Lighting that provides smart and connected solutions for both indoor and outdoor applications under its novel and newly launched Internet of Lighting (IoL™) platform. Wipro Lighting is a pioneer in providing comprehensive smart solutions on the platform of IoL™. The company will be providing its applications and solutions right from smart homes, smart buildings to smart cities under the brand identity of IoL™. Once aboard this state-of-the-art platform, customers can avail any one of its comprehensive solutions that include Power over Ethernet (PoE) lighting solutions, inSync™ - human centric lighting, LiFi technology, Bluetooth/wireless lighting solutions and smart outdoor lighting solutions. These solutions are compatible with each other and can be integrated to deliver the desired outcomes. “With the emergence of IoT and Big Data, our lighting solutions are designed to provide Personalized User Control, Actionable Insights into Space Optimization, way finding, hot desking and meeting room bookings,” explains Anuj Dhir, Vice President and Business Head, Wipro Lighting. The company’s PoE technology, Lighting Management System and Workspace Management services are cloud based and run on open API. With increasing workloads, employees spend an increasing number of working hours within the office and thus require agile and empowering workspaces with lighting solutions that mirror daylight to help them adjust their body and cultivate high levels of energy during the day that is followed by a good night’s sleep thereby restoring the body’s internal clock. Keeping this in mind and leveraging its industry-rich experience, inSync™ has been engineered to provide Human Centric Lighting solutions for new age workspaces, enabling improvement in workspace productivity and enhanced employee well-being. Essentially, the offering works in harmony with the earth’s natural lighting cycle and can be easily programmed to mirror daylight. Simultaneously, the solution can work in accordance at office spaces that are for working in night shifts, ensuring right lighting conditions. “Our inSync™ range of products is human centric, and it provides bio-dynamic light based on human circadian rhythm for increased employee concentration, cognitive performance, alertness and in general well-being,” says Anuj. inSync™ is in line with WELL Building Standard (WELL), a performance-based system that measures and monitors the built environment for any impact on the human health and wellbeing, contributing towards a sustainable future with green initiatives, eco-friendly products and energy optimization through new generation light sources, efficient control gear, excellent optics and lighting management systems. Having catered to a broad range of customers, the company has previously designed and provided Lighting Solutions and Products to over 55 percent of the commercial green buildings within the country and has geared up to develop solutions that further focus on the WELL Building Standards.In 2002, Wipro Lighting pioneered into the Energy Management Systems segment with energy efficient lighting controls that are a blend of efficiency, comfort and style with focus on intelligent controls for Cost, Convenience and Comfort.These one-touch controls and designs enhanced user comfort and reduced energy consumption up to 35 percent. The company prides itself on having successfully completed lighting installation in public places like metro stations such as the Delhi Metro. “At Wipro, we not only promote the development of a sustainable eco-friendly infrastructure, which encourages conservation and promotes use of resources to mitigate the negative impact on the environment and people, but also we take pride in being the only lighting company in India to build more than 55 percent of the Commercial Green Buildings in the Country,” shares Anuj. Technology and passion is what drives the team at Wipro Lighting consisting of highly qualified lighting design professionals to meticulously work towards achieving optimum lighting solutions by ways of innovating, improvising, and exploring light and its multiple facets. Aligning its solutions in tandem with the advancing technologies and future trends is what makes it more efficient, intelligent, and sustainable for its customers. A leader in the modern workspace lighting segment for the past 25 years, the company boasts of over 30 products available in this category. In conjunction with this, Wipro Lighting perfectly understands the need for intelligence within the outdoor segment for public comfort, safety and energy optimization. The company has fashioned smart streetlight solutions that work round-the-clock to provide accurate switching times based on local sunset and sunrise with the aid of photo-sensor or time-scheduled switches, increased flexibility of lighting during peak/non-peak hours, data management with the help of an energy consumption report for energy optimisation, 24 hour online monitoring system (GIS), increased security with the help of CCTV cameras on poles and anti-theft alarm. Staying ahead of the vendors facilitating clients with mere illumination, the company has developed feature-rich solution that has gained popularity owing to Centralized monitoring and control, ease of use and quicker maintenance, power savings, higher reliability and greater system efficiency - some of the aspects of its Smart Street Lighting solutions. The street lighting poles can also serve as data stations with sensors for adaptive lighting, weather and pollution sensing and monitoring. They can enable WiFi and RF connectivity, and provide smart screens for advertisements, public address systems, as well as monitor parking spaces and recharge the batteries of an electric car. Propelling creativity and promoting new ideas, the company’s strong network of PAN India branches and dedicated stockists across the country contributes to the successful delivery of seamless service. Creating a stronger and wider network, Wipro Lighting has forged alliances with International Technology companies that have helped evoke revolution in work-lives. The company has collaborated with Cisco for Power over Ethernet (PoE) based lighting solutions. Backed by this partnership, Wipro Lighting’s Power over Ethernet (PoE) based solutions intend to utilize the Cisco Digital Building Solutions framework to build flexible lighting solutions for modern workspace. “As the next step this year, Wipro Lighting, has partnered with pureLiFi who are global leaders in LiFi technology and commercialization, to harness their LiFi technology and develop applications for the wireless communications and lighting market in Asia. The company has been an active promoter of this technology on its Internet of Lighting (IoL™) platform, exploring various business segments where this technology can penetrate well,” informs Anuj. The technology offers significantly greater security, data speed and densities to support more robust and reliable wireless networks that complement and enhance existing cellular and Wi-Fi networks. This partnership will prove to be of great value as the LiFi market is expected to grow from an approximate worth of USD 2.56 billion in 2018 to USD 75.00 billion by 2023, at a whopping CAGR of 96.57 percent. Making remarkable progress in this domain, the company has been appreciated for its contributions made in this segment and as such has been awarded prestigious international and national awards like Red Dot Award: Product Design, Design for Asia Award, Label Observeur du Design, Global SSL Top 100 Showcase and Indian Design Mark. In addition to this, the company gained recognition for its indisputable work and was presented with the Frost & Sullivan’s India Connected Lighting Company of the year 2018 and India Innovative Visionary Leadership Award 2017. Continually striving to make a difference in the lives of people with its cutting-edge LED lighting solutions, Wipro Lighting aims to widen its range of products under inSync™(human centric lighting) portfolio by adding more products that resonate with energy conservation and optimum usage of resources. The team has geared itself to provide complete lighting infrastructure for the upcoming Smart Cities of today for improved public safety and comfort. Having set goals to have maximum products and lighting solutions for all applications under the IoL™ platform, the company envisages continuing to address the rising demands in this arena and deliver value added solutions and services.